Growing up in northern Virginia, I spent several summers heading south to Charleston, South Carolina, where many of my mother’s relatives lived. 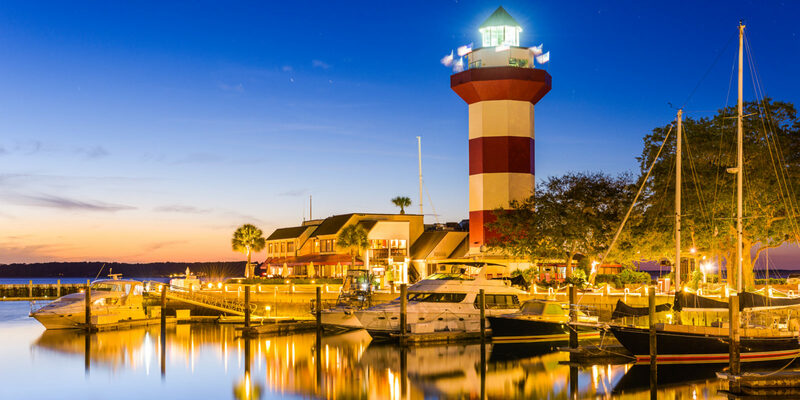 Very often, my family would take day trips to nearby Hilton Head Island — a portion of South Carolina’s Lowcountry region, located about a two-hour drive away — where we would take in its singular southern charms, numerous golf courses and captivating beach landscapes. Most of my Hilton Head memories are stamped within the context of childhood. But I recently revisited the island with a friend for the first time in 15 years and saw the endearing coastal town in an entirely new light. Here’s what I discovered the second time around. The scenery provides a perpetual photo-op. Long before the days of Instagram and Snapchat, we used polaroids and disposable cameras to document Hilton Head’s charm. Growing up, my mom was the designated family photographer; I’ve taken a liking to photography over the years, too. So during my recent visit, I made sure to capture as many moments as I could using my DSLR camera. I discovered that early mornings and just before sunset were excellent shoot times, and I took full advantage of them both. When I was on a bike ride enjoying the cool a.m. breezes, I photographed the dunes at Driessen Beach to great effect. Later, I took a selfie at the Shelter Cove Community Waterfront Park, a five-acre Hilton Head landmark that includes a pavilion, a picnic area, public artworks and an impressive sea-themed playground with sizable animal sculptures. I remember Hilton Head’s beaches as being much warmer than the cold ocean waters I grew accustomed to during summer getaways in New Hampshire. That said, all of my childhood vacation memories blended together after a while, particularly since I spent most of my days building sand castles rather than strolling through the dunes. 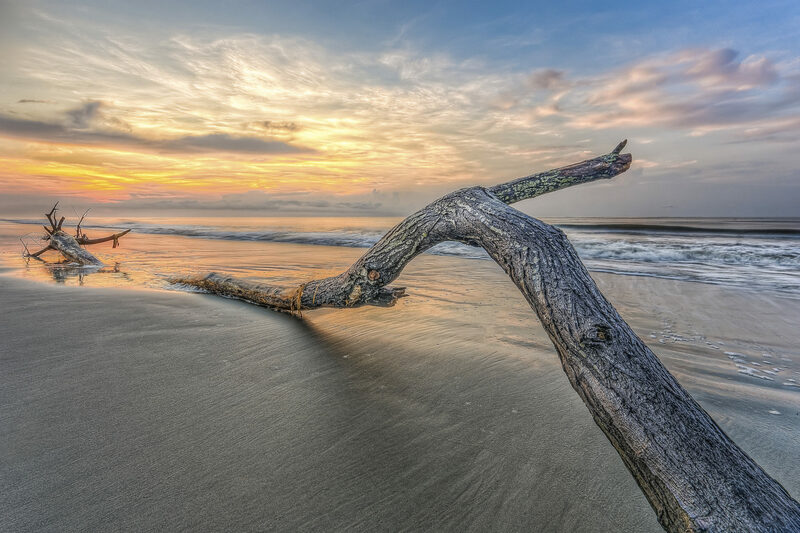 So during my recent visit, I made a point to reintroduce myself to several of Hilton Head’s beaches. I gravitated the most toward Driessen Beach. It’s less crowded than the popular Coligny beach — which is very touristy — but that’s exactly what I liked about it. I was able to relax, read and chat with my friend relatively undisturbed. Driessen Beach also offers restrooms, a playground, outdoor showers and a fun boardwalk. The culinary scene is surprisingly creative. I grew up on classic southern fare like shrimp and grits and sweet potatoes. As a kid visiting Hilton Head (which has a population of about 40,000), we stuck mostly to the same two or three restaurants. One of our favorites was the Salty Dog Cafe, which still serves a pleasing menu of beachy fare like crab dip, po’ boys (with fish or shrimp) and hush puppies. On my return trip, however, I scoured the island for new restaurants with great food and ambiance. Hilton Head’s culinary evolution has (in part) tourism to thank, and many dishes are still southern through and through, with a few twists on classics that appeal to any palate. I really liked A Lowcountry Backyard Restaurant, especially its outdoor garden seating, beautiful sunset views and delicious signatures like the grouper Reuben and crab cakes. For late nights, my friend and I kept finding ourselves back at Skull Creek Boathouse, a lively restaurant serving up Southern seafood plates, fish prepared in numerous ways (fried, sushi, sashimi, grilled) and live music. Adventure awaits around every corner. During my first trip to Hilton Head, when I was around 9 years old, I convinced my parents to sign me up for a parasailing excursion. While I was mildly afraid of heights, I loved it! I felt like a bird that day, and I’ve treasured that memory. While I didn’t end up repeating history, I enjoyed seeing the island from different perspectives. One evening, my friend and I embarked on a sunset cruise and, cocktails in hand, spotted a pod of bottlenose dolphins in the distance. But my favorite way to see the island was by bike. 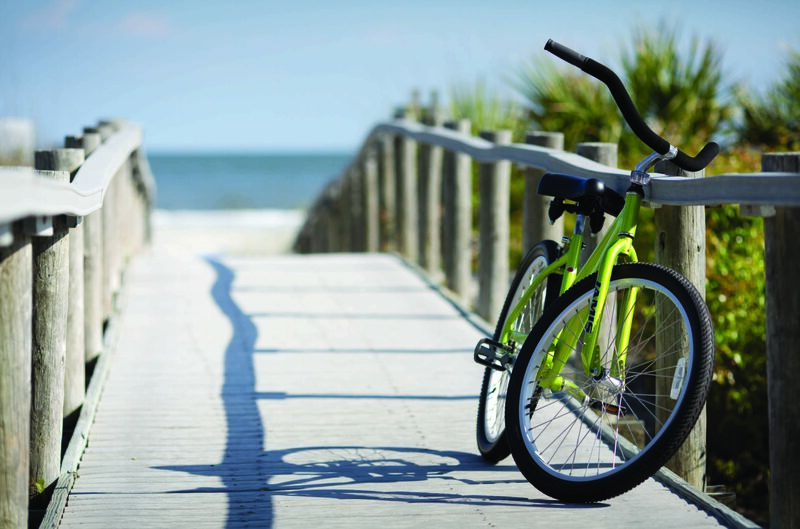 With more than 50 miles of paved paths and 12 miles of beaches, getting around on two wheels is a piece of cake. 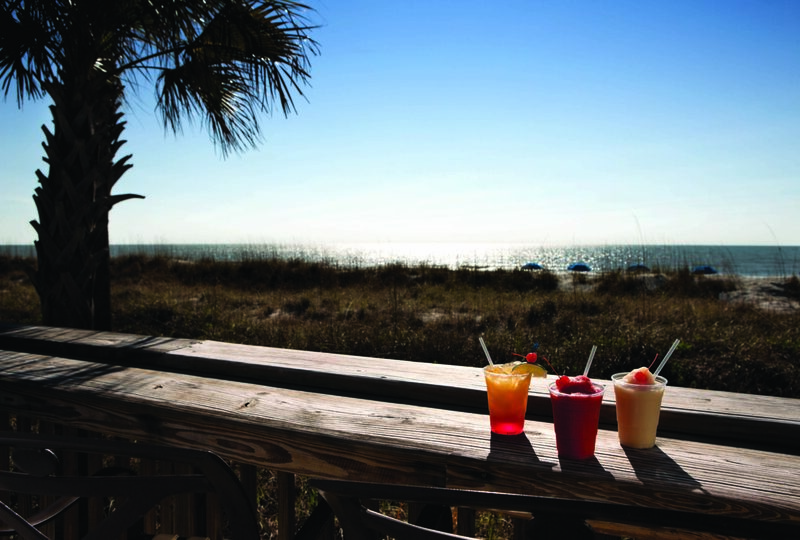 Hilton Head Island can get hot — fast — so it’s best to get an early start. I suggest a walking or biking excursion in the morning, followed by lunch in the shade to cool off. The nightlife is not to be missed. I frequented Hilton Head way before I was of drinking age, so it’s safe to say that I had no idea what I was missing. Hilton Head might not have the bright lights and party-all-night mentality of New York City, but you’ll still find lots of fun. Since I don’t live near the ocean back home, my friend and I preferred to hang out at beach bars. Our favorite was Tiki Hut, where I sipped on a Myers’s Mai-Tai (two kinds of rum, amaretto, pineapple juice, orange juice, grenadine, lime) and enjoyed a local band playing soft rock tunes. Since the island is as much a spot for family vacations as it is for girls getaways, the vibe was relaxing without getting too rowdy. And that made my visit all the more enjoyable — and my resolve to come back again soon that much stronger. 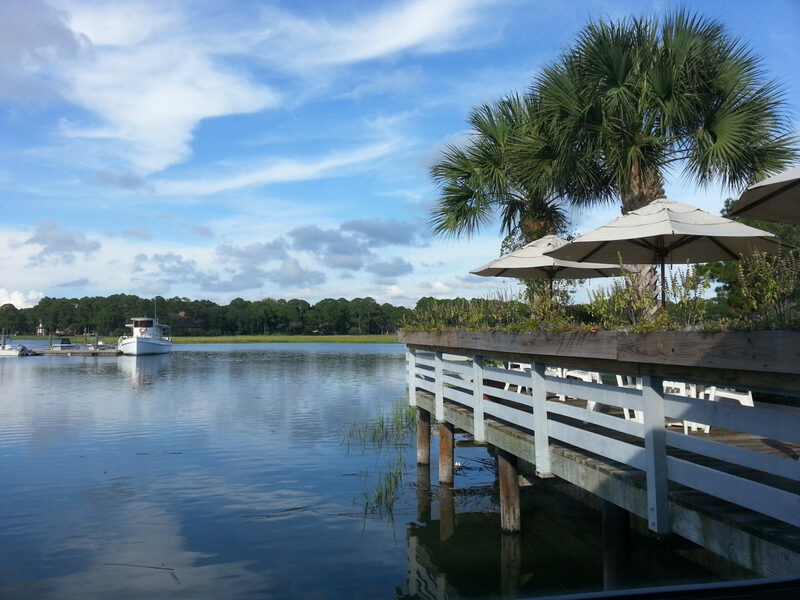 Hilton Head Island is especially popular during school holidays. Consider booking your stay during the shoulder season (essentially October through March) for fewer crowds and a more intimate feel.